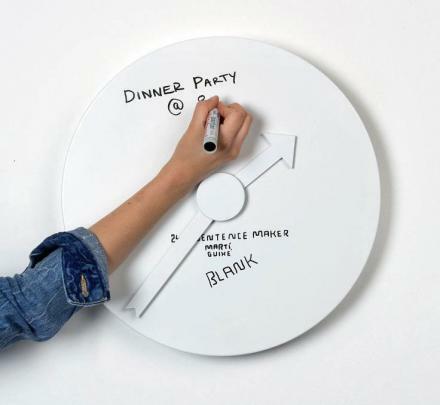 This wall clock has a background that's made entirely of a dry erase whiteboard and makes for a fun way to remember your appointments by writing in or drawing a picture at the time the appointment is. 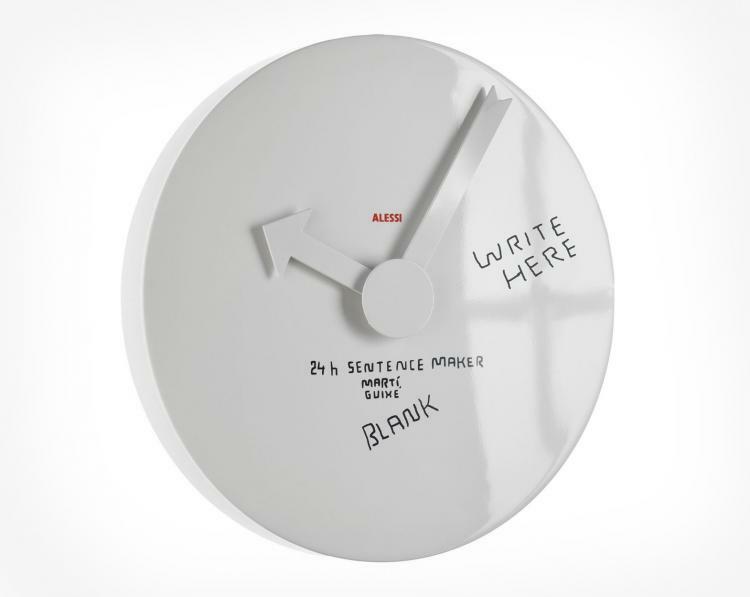 Perfect to hang on the fridge to write in reminders for your family at certain times of the day, hang on the wall and decorate it with your own fancy numbers or artistic design with a new clock design whenever you want it, or just leave it blank if you're some sort of dark soul who lacks any sort of creativity in their lives. 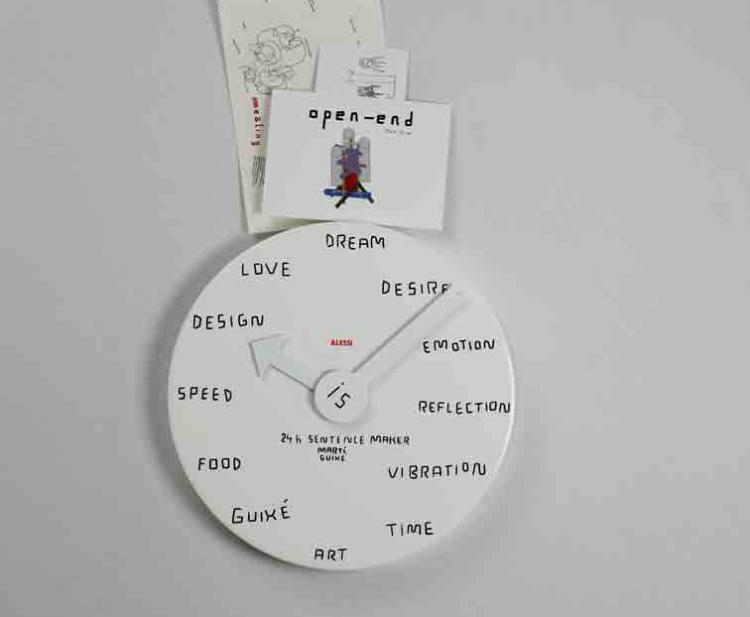 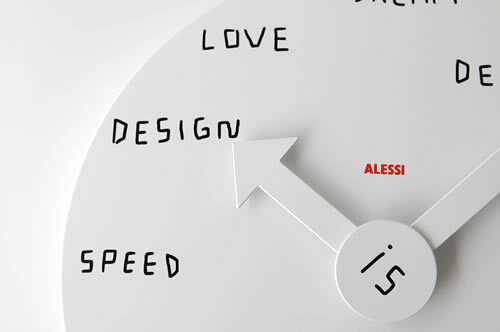 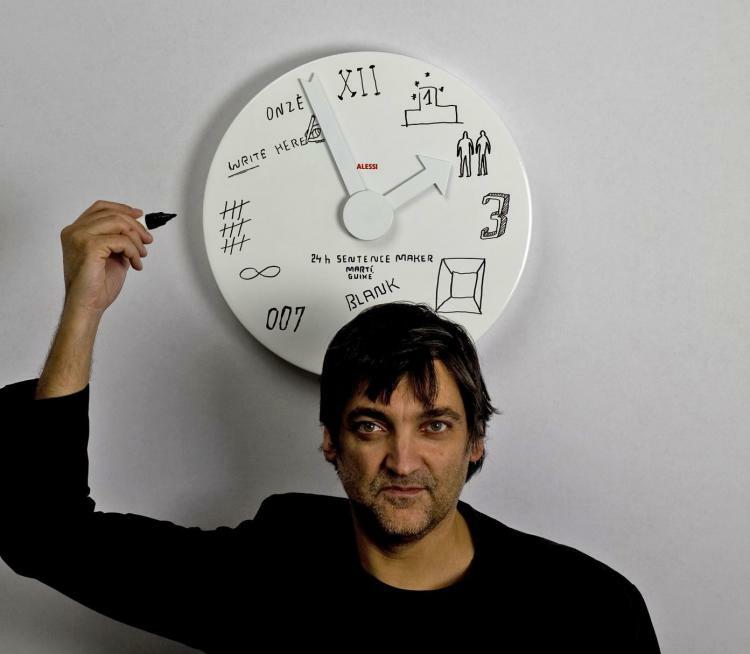 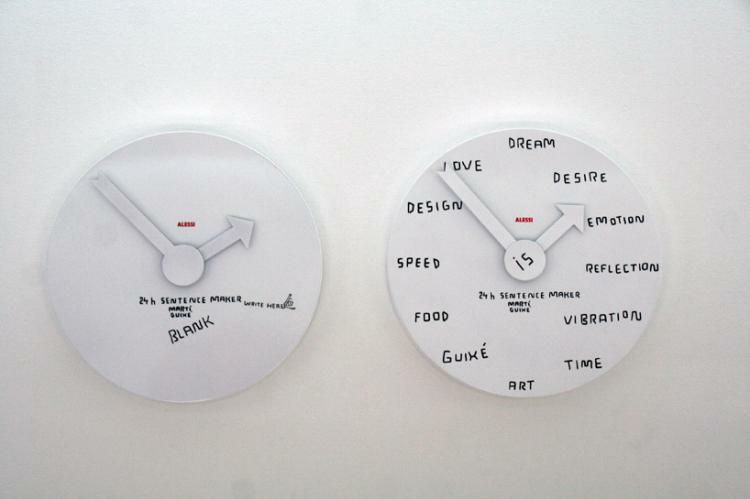 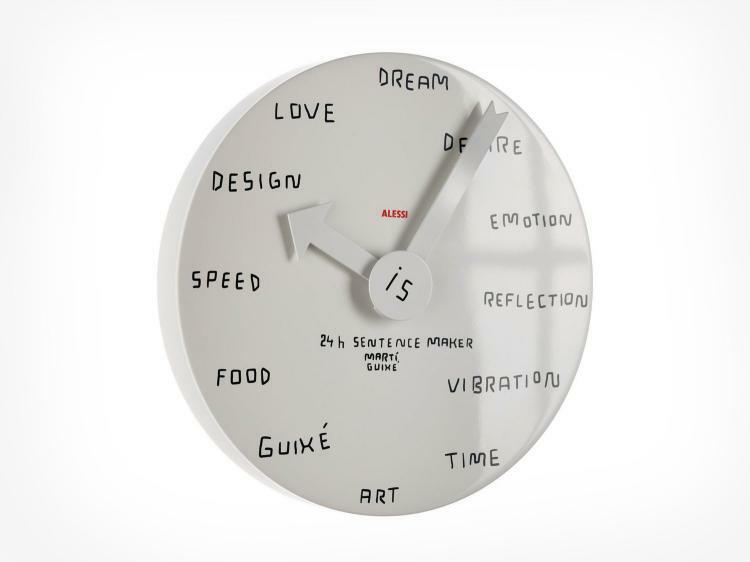 Designed by Martí Guixé, a Spanish designer from Barcelona that has a focus on industrial design, the whiteboard wall clock was made for 'Alessi', a world-famous Italian design house. 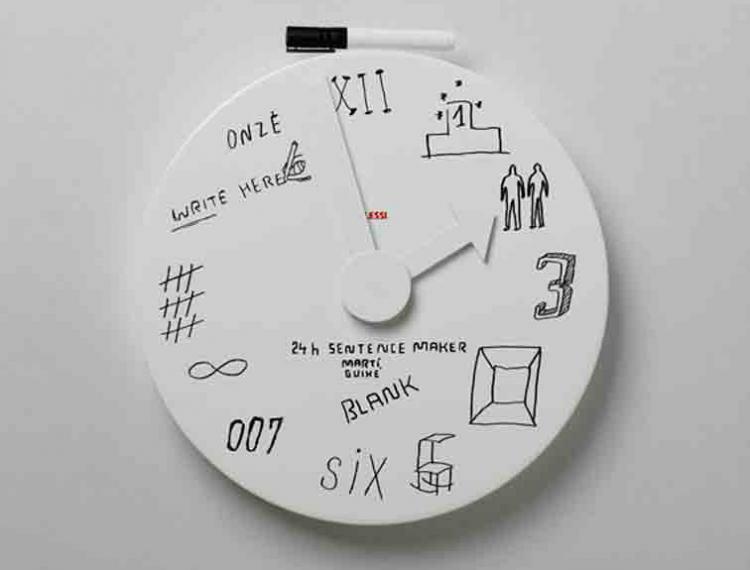 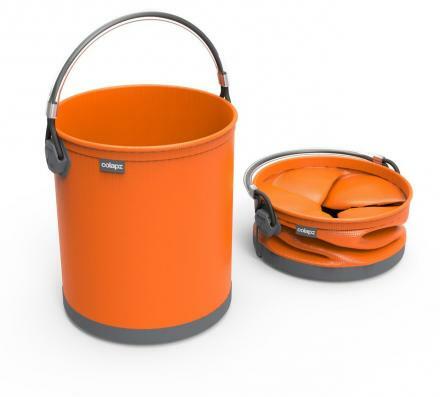 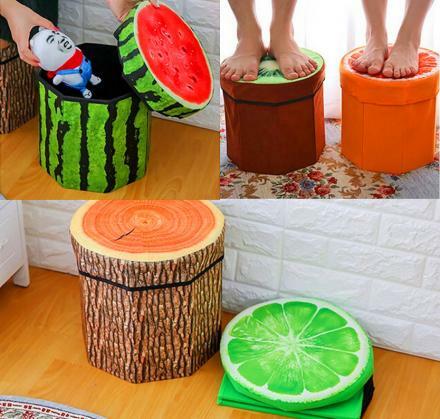 Plus the clock is perfect to give your home or office a contemporary look along with a little creativity. The whiteboard clock, aptly named as the 'Blank Wall Clock', is made from sturdy aluminum, comes with a black dry erase marker (although you can use your own dry erase markers in any color you like), and the clock measures 15.75 inches in diameter x 2 inches thick.